A painter, poet and prodigy of the downtown New York art scene of the late 70s and 80s, Jean-Michel Basquiat is an icon. He was friends with Warhol, dated Madonna and donned those famous paint-splattered Armani suits. 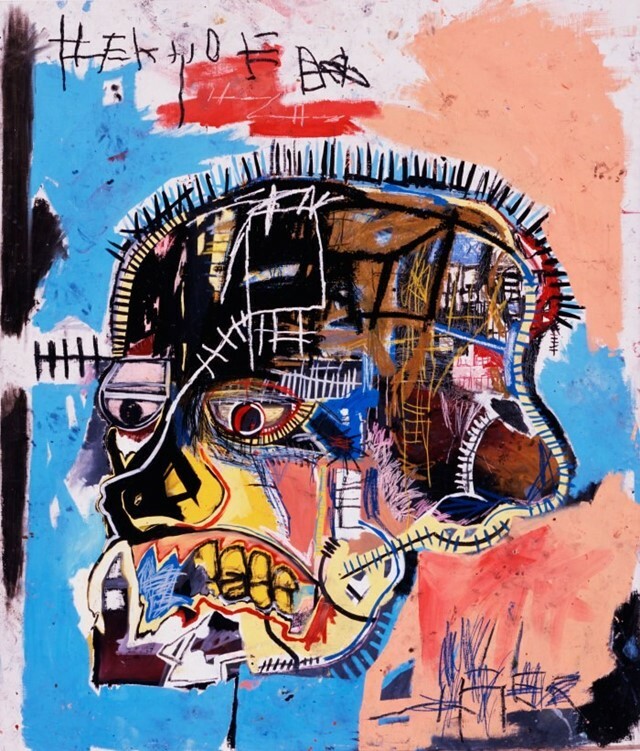 This is the image of Basquiat in the popular imagination, but there is more to the man, and indeed his work, than that. In fact, his art was deeply political – much more so than it’s usually given credit for – and that’s what New York-based writer and activist Chaédria LaBouvier is on a mission to show. Having loved Basquiat since her youth (her parents had several of his drawings hung up in her childhood home), she’s launched a new multimedia project exploring a work in which the artist addressed the issue of police brutality – around 30 years before Black Lives Matter and Ferguson. Defacement (The Death of Michael Stewart) depicts the last moments of 25-year-old graffiti artist Michael Stewart, who was beaten by New York City police officers in 1983 and died from his injuries around two weeks later. While it was previously hung above Keith Haring’s bed, it’s now residing at Williams College in Massachusetts where it will be the centerpiece of a series of discussions about police brutality, black identity, and the Black Lives Matter movement. LaBouvier argues that Basquiat, as a black man himself, was fully aware of the USA’s history of state violence against the black body, and that this is an overlooked and previously unexplored dynamic in his work. Here, she tells us more about this idea and why the message in Defacement is as pertinent now as it was three decades ago. What’s the backstory to this project? Chaédria LaBouvier: Basquiat had been always an interest. A passion, really. As a kid, my parents were early collectors of his drawings. My parents weren’t famous or super-wealthy or anything like that, they just collected art that they liked. Growing up, there were three Basquiat drawings over one of the couches, so I always grew up knowing that art was a viable career path and that black people created art. 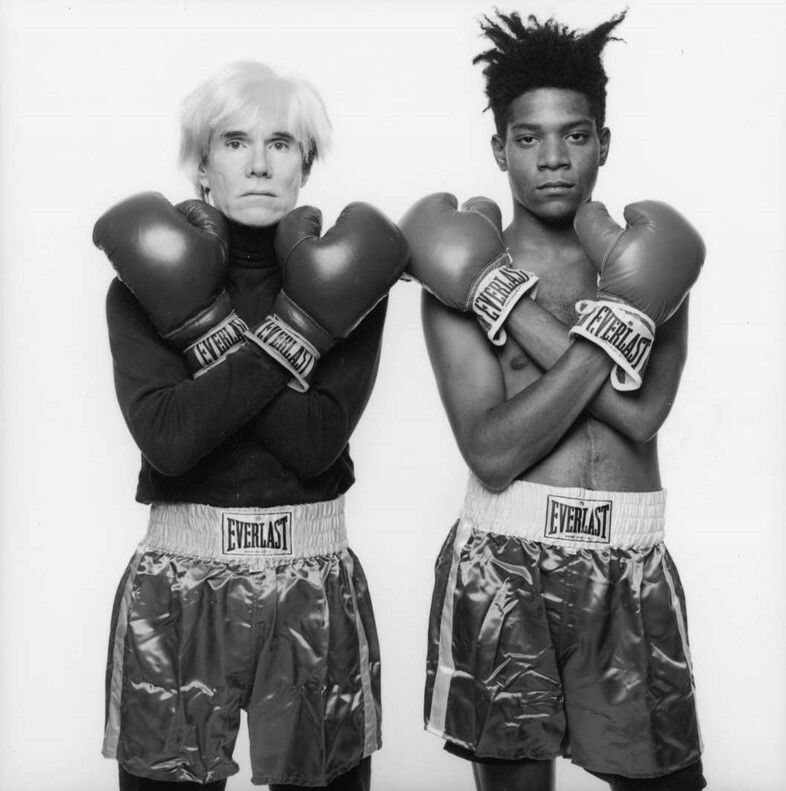 My mom made it a really big point to reinforce that Jean-Michel Basquiat was a black man and he was important in the art world. So I think by the time I came to college, I knew that I wanted to study him. I graduated in 2007, and Basquiat was not on the American curriculum for art schools, even at Williams College which is a great liberal arts college and has one of the strongest art programmes in the country. I came in knowing I wanted to study Basquiat, but it wasn’t available so I just started researching him on my own. So I’d been studying Basquiat since I was 19, and then came my activism, (which is) where the scholarship intersects... For me, police brutality is not just an idea, it’s a reality. I lost my brother, Clinton Allen, to police brutality, and I became an activist and have been very vocal about the issue. I took about two and a half years off from my TV and writing career to organise around this police brutality, so for me Basquiat and Defacement combines this scholarship that I’ve been doing for a while but also my personal history, my brother and my activism. Can you tell me about your activism? Chaédria LaBouvier: We founded Mothers Against Police Brutality because we lost Clinton, and this was in March 2013, before Black Lives Matter. So I’ve been organising since before BLM, and before Ferguson. But in college I organised around DC voting rights, did research on that and in high school, volunteered for political campaigns. I’m from Texas and a Democrat, so I worked on a lot of campaigns that lost, but I learned a lot about grassroots organising. When did you discover Defacement, and what’s the story behind it? Chaédria LaBouvier: When you ask people who know Basquiat which of his paintings mean a lot to them, Defacement always comes up. I saw the painting years ago on a slide or something like that, but I absolutely hadn’t seen it in person until the Toronto Basquiat exhibit. This was the first time in, like, 14 years that the painting had been exhibited. It blew me away. It depicts the killing of Michael Stewart. He was beaten by NYC police officers, in the transit station, the First Avenue station in Manhattan, New York. Michael was beaten on September 15th, was in a coma for 13 days, and died on September 28th. Jean-Michel was devastated and went over to Keith Haring’s studio to paint this painting on the side of a wall. We don’t know if it was when Michael was in the hospital, or if it had been when Michael had died. Keith had it cut out of the wall and framed – a very ornate frame that was modelled after the Ritz Carlton. It was above his bed for seven years until he died, and then from there it was left to the collector who owns it now. 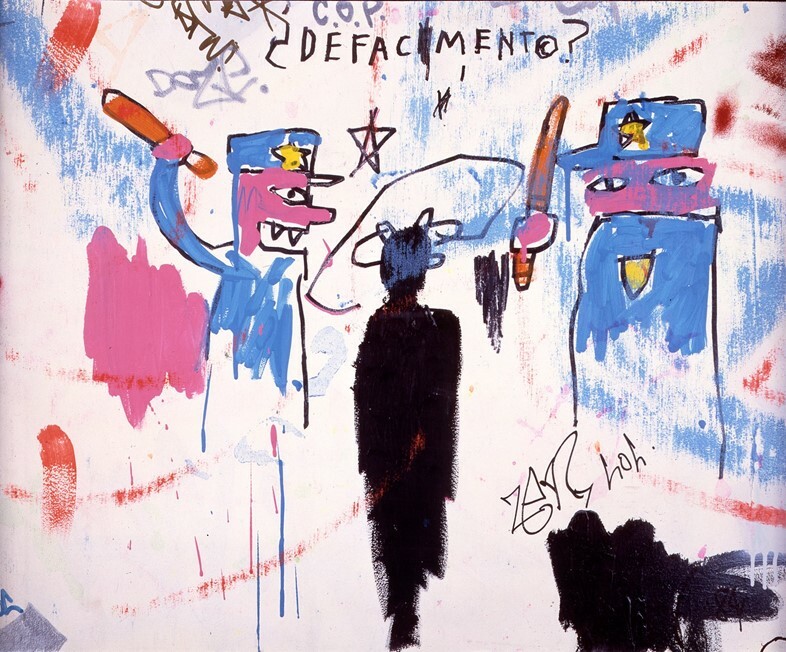 Do you think this painting was a personal expression for Basquiat, or a political one? Chaédria LaBouvier: I think that it was both of those things in that he knew Michael Stewart. Not super-well, but they ran in the same circles, and Michael was dating Basquiat’s ex-girlfriend, Suzanne Mallouk, at the time. So I think that it was deeply personal. And also he’s a black man. This was before video cameras and cell phone cameras, so in a way this painting is almost like evidence that this happened. I think it’s important to remember where the context was – it’s super-political. In 1983, we didn’t have video cameras. We didn’t have a language around police brutality or white supremacy or state violence to talk about these issues publicly. There was and is this very real fear that the police, if you’re a black person, can kill you and get away with it. I think Basquiat was aware that this was not just about Michael Stewart or even him, but that there is a history of state violence against the black body. And I think that’s what this painting represents: that history of state violence against the black body as an American heritage. Were there other instances throughout Basquiat's career where he made comments, direct or indirect, about white supremacy or state violence? Chaédria LaBouvier: I think he made comments about his own personal interactions with racism. He talked about not being able to get a cab, about how museums would not touch his work. He only had two museum shows during his lifetime, the first one being in England, incidentally. He didn’t get into a major American museum until four years after he died, when the Whitney did his retrospective in 1993. I think he was very aware of how racism impacted him. But I don’t see these instances where he’s really having a conversation about apartheid or white supremacy. He’ll address it in his paintings but I don’t see him having that conversation. Chaédria LaBouvier: I do. I think people forget that he’s incredibly political and his work is very political. I think that that absolutely is missed. I think people really enjoy indulging in the myth of him. As you were saying he’s wearing these designer suits, the paint splattered Armani suits and being friends with Andy Warhol and dating Madonna, but we don’t do that to other artists. I think that people engage with Basquiat without engaging in his work. I find it so frequently that people are like, ‘Oh my gosh, I love Basquiat’, but can’t name a Basquiat painting that they love. And when I think about that, when people say ‘Oh I love Monet’, or ‘I love Picasso’, or ‘I love Keith Haring’, they can articulate in some way what they love about that artist’s work whereas with Jean-Michel, because we don’t focus enough on his work, we do people a disservice by creating this permissible dynamic where you can indulge in his myth and profess to love him but not engage in any of his politics and not engage in any of his actual work. Do you think that relates in any way to his blackness and the audience’s whiteness, or do you think it’s more about him and his celebrity? Chaédria LaBouvier: I think it’s a very complicated and toxic mix of both. I think that the exoticism of his blackness is what fuels his celebrity. Do you think he's been commercialised? Chaédria LaBouvier: I do, but I don’t think that that is a bad thing in and of itself. I did an interview last year with Dieter Buchhart, where I asked him the same question and he said that commercialisation doesn’t hurt an artist’s work and in fact it can be beneficial sometimes because you’re constantly competing for people’s attention and it’s one way to get it. But I think we have to be responsible about commercialisation. I think we’ve been irresponsible when it pertains to Basquiat’s commercialisation because we have not also demanded rigorous engagement with his actual work on a pop cultural level, or an academic or intellectual level. I think that that is where the problem arises. Not the inherent commercialisation. If there’s one thing you want people to come away from this discourse of your ideas, what would it be? Chaédria LaBouvier: I think that it’s the idea that Basquiat is one, very political and this is one of his most political paintings, and two, that these issues aren’t new. And it’s kind of a shame that so many people think that it’s new. I think that this is evidence for people that need evidence that we’ve been struggling with the act of respecting the black body for years, centuries really. One of the most famous black men in the art world still had a physical fear and awareness of the fragility and vulnerability of a black body. We need more attention and more engagement with the issue of police brutality and I think that it’s really important, this project and what we’re doing. It’s a way we can help people understand the hugeness of this problem.